HOMEWARES giant Spotlight has revealed its plans to build a new showroom, as well as facilities for weekly farmers markets, at a central Coast site. It is one of the first retail development applications lodged in SunCentral’s new Maroochydore CBD development. 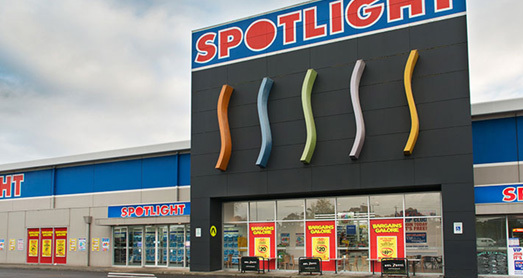 Spotlight will be the anchor tenant at the Dalton Drive site, opposite Bunnings, with a 4764sqm tenancy on the first floor of the two-storey building. The ground floor will comprise of three main shopfronts ranging between 1000sqm and 2000sqm in size as well as a 33sqm cafe. The design has also incorporated space for markets to be held outside the new building. “The markets are likely to comprise weekly farmer’s markets, which will set up under the architecturally designed/purposed built awning in the car park area. “The farmer market will drive the external activation of the site and will work in alignment with the outdoor dining areas to create a vibrant main entry to the building.” The development will also feature 366 carparks. It is being considered by Economic Development Queensland, which is the body responsible for deciding all development applications within the SunCentral site. dalton drive development farmer market Maroochydore retail spotlight state government SunCentral sunshine coast.